Edda Mistral arrived the Royal Dock in Grimsby six months after it’s sister vessel, Edda Passat. A selective catalytic reduction system which uses urea (horse urine!) 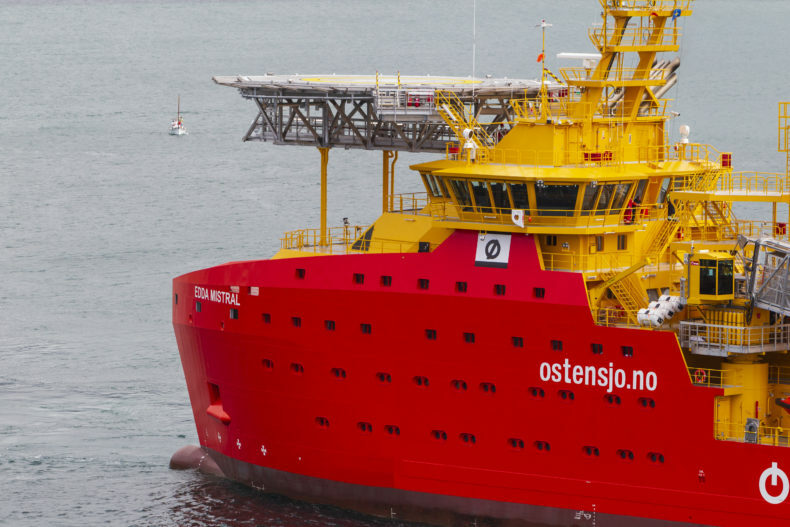 has helped to reduce the vessel’s NOx emissions, making it more environmentally friendly. An innovative power management system reduces the fuel consumption of the vessels, by around 20%. 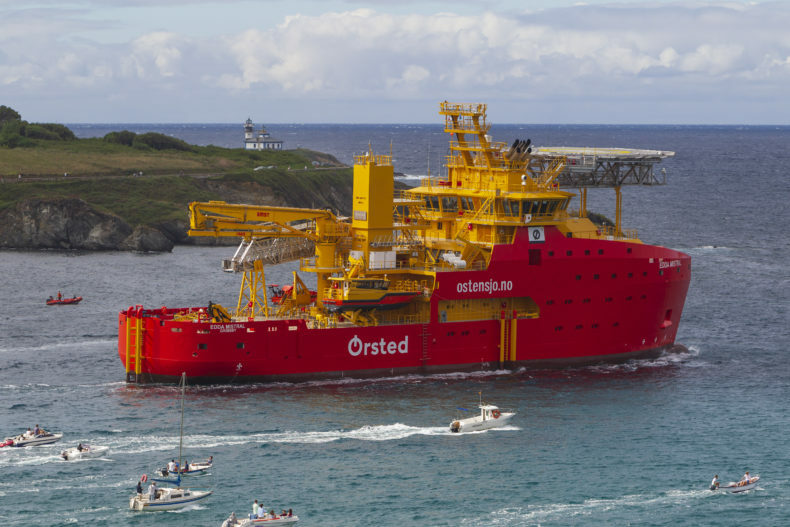 Unlike its sister ship, Edda Passat, Edda Mistral has a helipad – and it’s the first time a vessel equipped with a helipad will be used for regular maintenance of a Ørsted windfarm. The vessel has WiFi from a 4G system set-up on the offshore substations, facilities for meetings, and everything you’d expect from a small office. The meaning of “Mistral” is a strong cold north-westerly wind that blows through the Rhône valley and southern France towards the Mediterranean, mainly in the winter. The motion compensated gangway allows technicians to safely walk onto the wind turbines in much rougher seas than when using the traditional method of transferring from a boat. This is vital when operating in an area like Hornsea Project One where weather conditions can be more extreme. The boat landing has been designed and purpose built to optimize efficiency for the crew transfer vessels working on the project. The vessel was designed by the British company Rolls Royce.